From 6th to 13th of September 2015, 17 young people, from all around Europe and from different religious and educational backgrounds, gathered for the training course “Faces of Poverty: training course addressing poverty in the context of migration” which took place in Manchester, United Kingdom. 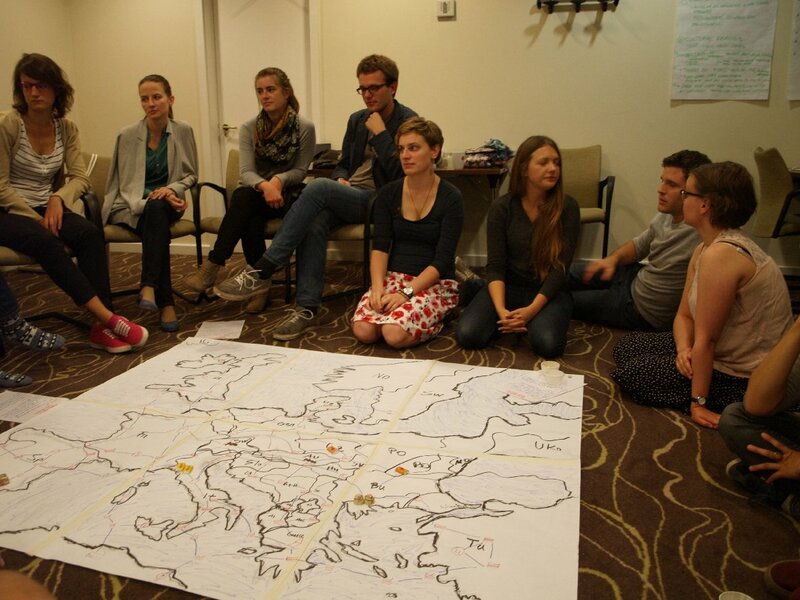 It was organized by EYCE with the help of 4 volunteers and supported by the Council of Europe and Brot für die Welt. The main objectives of this week were to explore the links between poverty, social exclusion and migration, as well as empowering young people with the knowledge and skills necessary to address the negative effects of poverty and exclusion. For the first part of the week, participants work together to define the key terms of the training course, such as migration, poverty and community. These terms were essential to the understanding of the different concepts and issues at hand. Through different presentations, board games, solidarity dinner and other non-formal methods of education, participants learned first-hand how it can feel to be a migrant as well as how others might feel. Two experts were invited to speak at the event. Mr. Nicolas Derobert is a Communications and Membership Officer at Eurodiaconia in Belgium, working in the fields of migration and EU free movement. He presented participants with a more in depth presentation about poverty and migration in Europe and how it affects everyone, based on current event. He also provided a small workshop on communication and media campaign. The second guest speaker was Professor Juris Calitis from Latvia and he offered a theological approach to the topic of solidarity. Through his own experiences and different passages of the Bible, he showed the importance of a community and how solidarity is connected to the theology in the Bible as well as the unity in the church. Professor Calitis mentioned that solidarity is not a philosophical but political question. During our stay in Manchester, two local visits were offered to the participants. We met with Rachel Foakes from Rainbow Haven, an organization that offers support and activities for asylum seekers, refugees and migrants. She showed us their permeis and shared their projects as well as their struggles as an organization. 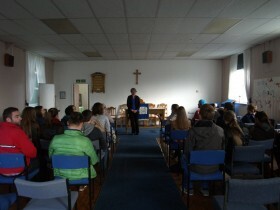 Secondly, we met with James Allan, who told us more about the asylum procedures in the UK. He provided us with the legal procedures as well as the system of support that asylum seekers get in the United Kingdom. In this way we could see what challenges asylum seekers and refugees face in UK. At the end of the meeting Mr. Allan proposed a few solutions that might solve the whole situation which brought very interesting insight into the migration issues. For the second part of the week, participants were given the choice of workshops to learn tools to implement in their own context projects relating to poverty and migration. These were: advocacy and the general rules behind it; practical assistance, or how to help migrants get information about their rights and organizations; counselling and how to help migrants in different levels; community mobilization and how to best use it to one’s advantage. Many ideas and projects were discussed and shared, and we wish the participants the best of luck in implementing them. 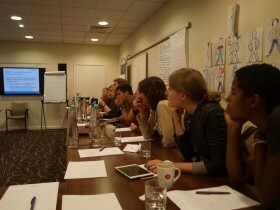 Participants were then given the opportunity to create a ‘to-go toolbox’. This involved participants creating project proposals for different types of project. The participants came up with various creative ideas and it is hoped they will be able to take these proposals and use them in their own contexts. EYCE would like to warmly thank everyone in the United Kingdom that was involved with the preparation and realization of this training course.